Let me start with a question for BMW: Why can't we get all the good stuff also, here in the U.S? This time, the BMW 635d Sport Convertible has been released in Europe only, and our U.K friends have already got their hands on it. We know that BMW will be bringing the diesel engines to the U.S but the whole process is painfully slow. The X5d and the 335d will be released sometimes next year but there are no other information on either BMW will bring any other models here, anytime soon. 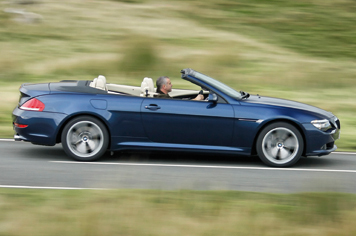 Our colleagues at autocar.co.uk , had the privilege to test drive the new released BMW 635d. BMW has taken their award-winning twin-turbo 3.0-litre straight six from the 3-series and 5-series and placed into the 6-series convertible. The gas consumption is just simply amazing, even though the engine provides over 280hp, BMW claims 40.9mpg. (note: we're not sure if those are british gallons). Pretty much the perfect long-distance open-top GT – as long as you don’t mind the looks. The huge surge of torque (428lb ft at 1750rpm) wafts the 635d along with ease and the six-cylinder diesel has got to be one of the most sonorous oil-burners around. The rest – apart from a few mild mid-life cosmetic tweaks – is standard 6-series fayre. That means solid, secure handling, but not much in the way of sporting agility. If you like the looks and the idea of a 6-series and you pay for your own fuel, yes, without question. However, the Coupe version, which is over £5k cheaper, will probably be the bigger seller. That's because many image-conscious 6-series convertible buyers will automatically be put off by the idea of a diesel engine, no matter how good it is or how much sense it makes. More fool them we say because, whether it's in the coupe or the cabrio, this incredible oil-burner makes the 635d the best 6-series of the lot. Amazing! American guys, who love diesel engines… Thats pretty unusual, but I really like it! 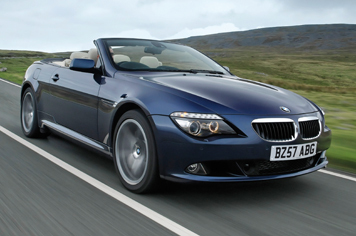 Next week I will get my hands too on a bmw 635D Convertible.